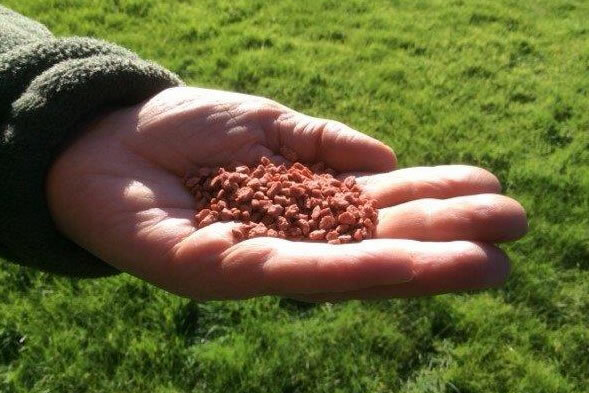 Having worked out the rate of nutrient potash required for a crop or grass, and considered the timing of the applications, we now have to select a suitable fertiliser product or other source, such as organic manures, to apply to the soil or crop. Then we have to apply it effectively to suit the crop being grown. Effective application of all nutrients involves getting the correct rate applied and evenly spread. This means that fertiliser spreaders and sprayers have to be calibrated to deliver the right rate of the fertiliser in use, and be set up correctly to spread evenly across the bout width (transverse spread pattern). The longitudinal spread pattern matters too, but in practice we rely on the manufacturers for this. Setting up the spread pattern for solid fertilisers is achieved by spreader testing which is carried out by trained operators with trays and a computer program. This is a specialised job and members of the National Spreader Testing Scheme should be used. Contact is via www.nsts.org.uk. However some farms may buy their own kit and get their staff trained. A coefficient of variation value (CofV) under 10 is good, and under 15 is considered reasonable. In addition to the spreader being set up correctly, it is important to use high quality solid fertilisers. They must not be lumpy and they have to be physically hard enough to withstand handling and the fast spinning disc, because they must not turn to dust which has a different flow rate and spread pattern from the main particles. Blended compound fertilisers must comprise compatible particles such that they do not separate out in the hopper, or spread differently from each other. In the UK and Ireland by far the most common source of potash is Muriate of Potash, and this is the potash constituent in most compound fertilisers (blended, complex, liquids). It is also sold as a “straight” fertiliser, referred to as MOP. Chemically this is potassium chloride (KCl) and is mined in North Yorkshire or Germany. It is fully water soluble and is 60% K2O. The second potash fertiliser is Sulphate of Potash (SOP) usually supplied as a “straight”, and may be used in liquid fertilisers. It is fully water soluble and 50% K2O. It is mainly used on potatoes where it may give a higher quality for processing and better quality in storage. 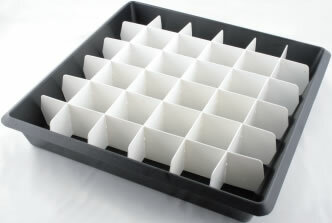 Also used in horticultural crops. The crushed ore from the potash mines, which is a mixture of KCl and NaCl, is called Sylvinite (c16% K2O) and this is used where sodium and potash are required, such as for sugar/fodder beet and grassland. It is also used by registered organic growers but its use is restricted by certain conditions, set by the Organic Certification body. More recently the UK mine has started to produce a polyhalite fertiliser. This contains potash, magnesium, calcium and sulphur. Its potash content may be lower at 14% K2O, but its sulphur content is high at 48% SO3, and so it is likely to be seen as a sulphur fertiliser but with some potash and magnesium (6% MgO) too. Potassium nitrate is used in specialist situations, especially horticulture. Livestock manures and AD digestates are valuable sources of potash. Again they need to be spread at the correct rate and evenly. These requirements are hard to achieve for solid manures but easy for slurry systems with flow meters. The nutrients are measured by lab analysis, following a strict sampling protocol. 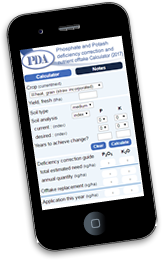 Alternatively standard values may be used, as shown in PDA Leaflet “Nutrients in Organic Manures” on our website, and the same figures are in RB209. Biosolids from sewage works contain insignificant quantities of potash. This is because the potash, due to being water soluble, is lost in the effluent from the treatment works, and hence is not in the digested sludge spread on land. Inorganic industrial wastes may contain useful amounts of potash such as cement kiln dust. Spreading evenly needs a lime spreader and the bout width is narrower than the wide tramline widths in use today. 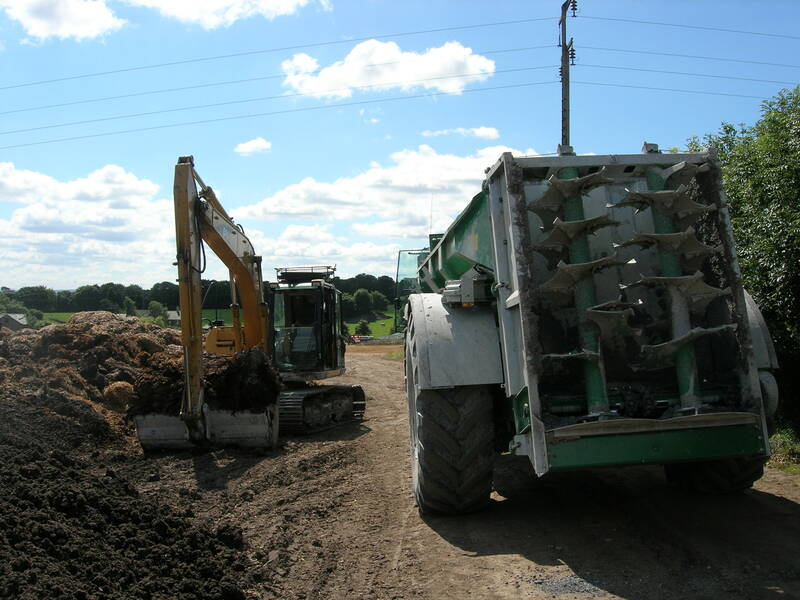 These “waste products” have to be applied to land under the permitting regulations, administered by the Environment Agency, and spread by approved contractors. The objective is to get the potash into the soil so that roots can take it up easily. This means that an application method that gives good mixing with the soil is the best, and this is most important when the crop is sensitive, such as at the seedling stage, and where soil conditions are poor (eg cloddy, compacted), or where soil potash levels are low. Broadcasting on the soil during cultivations prior to planting, gives good mixing, and suits the timing requirement of the developing seedlings. 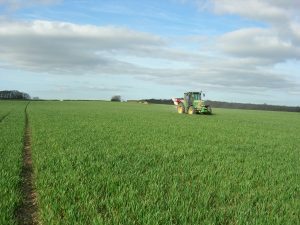 Alternatively, potash fertiliser (along with N and/or P) can be applied at planting through the drill, so called “combine drilling”. This sends the fertiliser “down the spout” and places it with the seed, or separately down an adjacent spout, depending on the machine design. In good conditions, with no such problems, the application method is not so important and simple top dressing in the Winter or Spring is adequate. For established grassland, this is the norm. Broadcasting potash prior to ploughing puts it down below the surface. This is not usually recommended for grass and combinable crops because it goes too deep to be easily available to the young crop’s roots. It does not get mixed properly until cultivations in the next year. The exception to not ploughing it down is for potatoes and sugar beet where different issues arise, and it may be the best way. For combinable crops where large amounts of potash are required (below target index 2-) and split applications are recommended, a top dressing in the Spring following a seedbed application is valuable. Potato crops respond well to having their phosphate and potash “placed” in the row at planting. 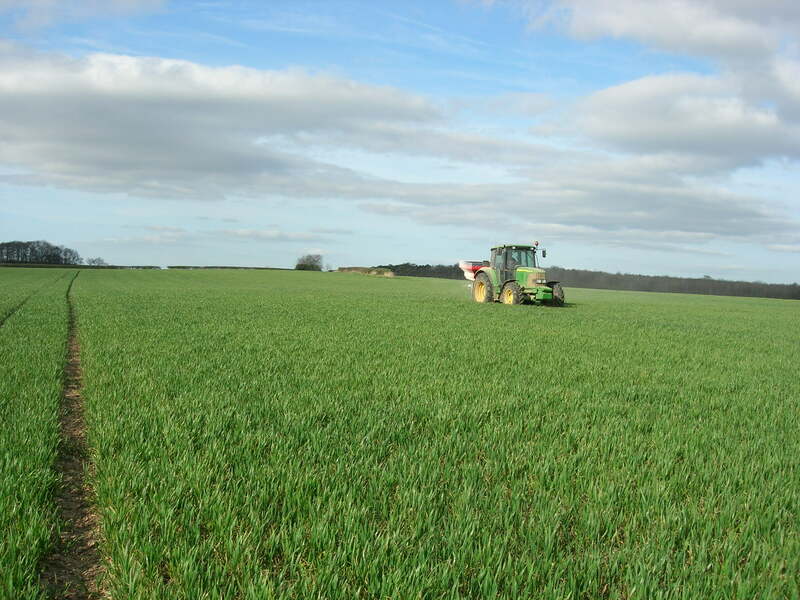 Where large amounts of potash are required (over 300 kg K2O/ha), it is necessary to split the rate and broadcast half in the winter prior to ploughing, and place half with the phosphate and nitrogen at planting. Such situations occur where very high yields are being achieved or where soil potash is below target index (2-). Precision Farming techniques usually use broadcasters with a variable application rate facility for the straight P or K fertiliser. The spreader will automatically increase or decrease the application rate according to where it is in the field. This is controlled by a computer in the tractor cab linked to a GPS positioning system, and using a digital map of the field. The maps may be based on previous crop yield (reflecting crop offtake), or soil potash or phosphate levels (having used a very detailed soil sampling regime), or a combination of both.